Fly in a helicopter and get a great tour that's fun and relaxing. This is your chance to have fun and enjoy the Florida Keys. You will get to see everything from a great vantage point in the sky. The helicopter is very comfortable and you will not have any problems exploring and enjoying it fully. You will see some of the most beautiful nature you've ever seen as well as Marine life living and also a lot of great ocean water. There is so much to see and do here that you will never get bored and never get tired of it off. This will be a special adventure that you be able to tell your friends and family about. You'll have to bring your own camera to because you will want to capture these amazing moments. You will start at Marathon airport and take to the skies before you see pigeon key. This is one of the keys many islands and you will have fun. You'll get to see the 7-mile bridge from another perspective and enjoy some of the most Bluewater's you've ever seen. You will learn about the cultural history of the Florida Keys and your pilot will take you to the air exploring and tell you everything you need to know. There will be so much fun and adventure to be had that you will not want to do anything else. While you are in the sky it will be the perfect adventure for you to truly see everything. You'll get an amazing view that you've never seen before and you will be very happy about it. You'll be able to take some of the best pictures you've ever had. Board a comfortable helicopter at Marathon Airport and lift off into the sunny skies to begin your aerial tour of Florida's iconic Pigeon Key. Discover a new perspective on the Seven Mile Bridge as you soar along the eastern side above blue waters. Learn about the natural and cultural history of the Florida Keys as your pilot whisks you through the air. Gaze down on translucent waters and see, with incredible clarity, sting rays, dolphins and sharks swimming about. Swoop down toward the water, where you'll get up close views of the craggy coral reefs just below the water's surface. Get your camera ready as the copter closes in on Pigeon Key, a small historic island that spans only 5 acres but is home to eight buildings on the National Register of Historic Places. Peek out the window for one last stretch of epic views on the way back to Marathon, where you can continue to explore the beauty of the Keys on your own. 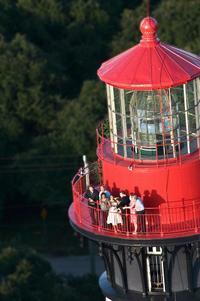 Extend your tour!Upgrade to extend your flight to pass over the iconic Sombrero Key Lighthouse. Please note: Due to safety requirements, we cannot accommodate persons weighing more than 300 pounds (136 kg). For a group of three, no more than a total of 550 pounds (249 kg). Departure Times: Flights are available from 9am to 6pm. You must advise of your preferred time in the Special Requirements field at booking.